Historians and biographers of psychoanalysis, psychotherapy, psychology, medicine and culture, even Wikipedia, believe Ernest Jones discovered Freud in 1904 and had become the first English-speaking practitioner of psychoanalysis by 1906. 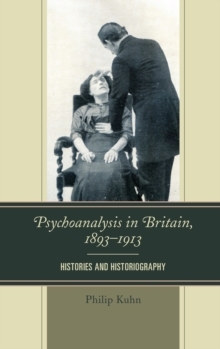 Psychoanalysis in Britain, 1893-1913 offers radically different versions to that monolithic Account propagated by Jones over 70 years ago. 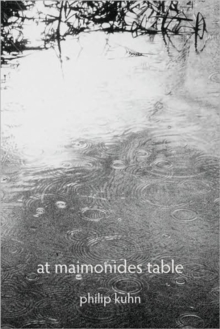 Detailed readings of the contemporaneous literature expose the absurdities of Jones's claim, arguing that he could not have been using psychoanalysis until after he exiled himself to Canada in September 1908. Removing Jones reveals vibrant British cultures of "Mind Healing" which serve as backdrops for widespread interest in Freud. First; the London Psychotherapeutic Society whose volunteer staff of mesmerists, magnetists, hypnotists and spiritualists offered free psycho-therapeutic treatments. Then the wondrous Walford Bodie, who wrought his free "miraculous cures," on and off the music-hall stage, to adoring and hostile audiences alike. Then the competing religious and spiritual groups actively promoting their own faith healings, often in reaction to fears of Christian Science but often cow-towing to orthodox medical and clerical orthodoxies. From this strange milieu emerged medically qualified practitioners, like Edwin Ash, Betts Taplin, and Douglas Bryan, who embraced hypnotism and psychotherapy. From 1904 British Medical Journals began discussing Freud's work and by 1908 psychiatrists, working in lunatic asylums, were already testing and applying his theories in the treatment of patients. The medically qualified psychotherapists, who formed the Medical Society for the Study of Suggestive Therapeutics, soon joined with medical members from the Society for Psychical Research in discussing, proselytizing, and practising psychoanalysis. Thus when Jones returned to London, in late summer 1913, there were thriving psychotherapeutic cultures with talk of Freud and psychoanalysis occupying medical journals and conferences. Psychoanalysis in Britain, 1893-1913, with its meticulous research, wide sweep of vision and detailed understanding of the subtle inter-connections between the orthodox and the unorthodox, the lay and the medical, the social and the biographical, as well as the byzantine complexities of British medical politics, will radically alter your understanding of how those early twentieth century "Mind Healing" debates helped shape the ways in which the 'talking cure' first started infiltrating our lives.